Street dogs are a pretty common sight in much of Mexico. 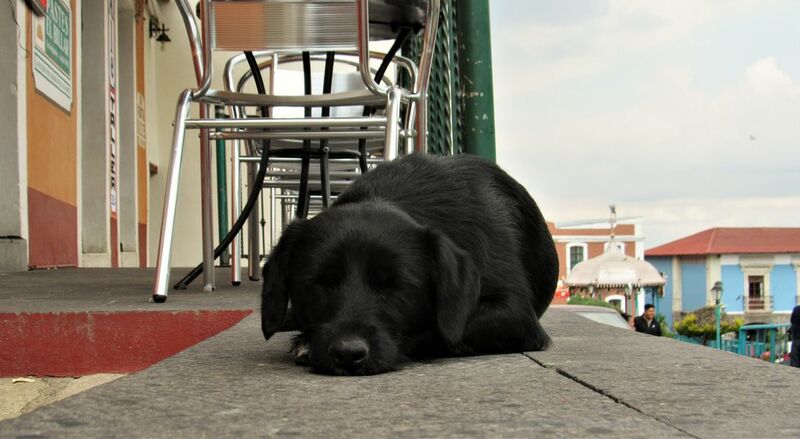 Here in the “pueblo magico” or magic village of Real del Monte, Hidalgo, this dog was taking a nap in front of a restaurant, so she didn’t notice me creeping in for a quick snap. The town had a very relaxed air that particular day, and the relaxed sleep of this dog seemed to capture the feeling. Date Uploaded: Oct. 28, 2018, 11:37 p.m.